Blue LED light of a certain wavelength makes that acne bacteria are killed when they are hit with certain wavelength light. If you have acne, always talk to your doctor about it. For example, what type of acne you have. If it's inflammatory acne you might benefit from blue light skin treatment. There are several dermatology LED light devices that emit blue light for skin curing purposes. To give you an idea of what's available, I write below about devices with good rating and popularity. It may also give you an impresssion about differences between a brand or model vs another. Images below may lead to webpages for more information, or to Amazon where you can read through the reviews which is quite informative. This acne light therapy device is equipped with blue LED light at 415 nm (nanometers) wavelength. It features - what the company calls "laser-focused cross hairs and T-Sonic pulsations" to treat pimples, clogged pores and blackheads. There a built-in timer, so you can move the device on another spot every 30 seconds. See Amazon See Here for best pricing, info and review on the Foreo Acne Light Therapy Device. - destroy acne from the core without the need for irritating topical products. - prevent blemishes that come from natural hormonal changes in the body. - treat uneven skin texture. Device dimensions: 10.75 x 7.75 x 3 inches. See Amazon Here for best pricing and reviews on this Baby Quasar MD Blue light Therapy Device. Read more about the LightStim for Acne device. This on-the-go device - battery powered - is meant to treat mild to moderate inflammatory acne while using red and blue LED light. Studies suggest that blue-red light for treating acne, might be more effective than blue light alone. According to the Neutrogena company it treats breakouts fast, in two minutes treatment sessions. An auto-shutoff automatically stops the treatment. For this good-rated Neutrogena Acne Light Therapy Pen, see Amazon Here for best pricing, info and reviews. Acne Clearing Device Tanda Zap. A blue light therapy device with the sonic feature to treat your skin and acne. According to the manufacturer this popular battery-powered device can also be used for oily skin and other skin types/tones. Blue light is well-known for its positive effect in treating acne. See Amazon here for the fair-rated and popular Tanda Zap. Blemish Clearing Device Sirius Pulsar Review. New light therapy for skin device the Sirius Pulsar to treat mild to moderate acne with thermal energy and blue light. Using the very portable system may give you fast results when applied at first sign of new pimples. Read more on the Sirius Pulsar device. Trophy Skin's BlueMD device for acne treatments is a handsfree device - tabletop model, what many people appreciate. Read more about this acne light treatment device. The blue light = 463 nm (nanometer) wavelength. The device comes with docking station, adaptor,USB cable, goggles and English instructions. 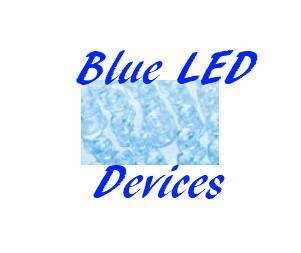 See Amazon Here for the Project E Beauty Blue Light device. This rechargeable device does acne spot treatment using three techniques: blue light at 414nm wavelength, sonic vibration and warming. This combination should heal and eliminate skin blemishes. You should get best results by applying it three imes a day, minutes each. It is a hate/love device - half of users are quite satisfied with the device while others think it doesn't work properly for them. But okay, for that price you might at least try it. See Amazon Here for best pricing and info on the me clear Anti-Blemish Blue light Therapy device. For treating mild to moderate acne. This battery-powered light device is a combination of blue and red light disable bacteria that cause acne and on the other hand helping to prevent future breakouts. For the Pulsaderm ACE for acne, see Amazon Here for best pricing, info and reviews. Pulsaderm LED Blue Light Therapy for Acne treatment. Suitable for treatment of mild to moderate inflammatory acne vulgaris, says the Pulsaderm company. This new device has been cleared (Class II) by the FDA. For the Pulsaderm Blue light for acne device, see Amazon Here for best pricing, info and reviews. Whatever device you buy - as soon as you get it - follow the instructions and try it out. In case you're not satisfied you want your money back, right? Well, be sure to return it within 30 days, which is usually the money-back period. Blue light treatment is not for anyone. As said in the intro above, you should talk to your doctor about your acne, because not everyone benefits from blue light, for instance if your have cystic acne, or if your are pregnant. It's best to see a dermatologist. Click Here for info on Microcurrent and RF Radio Frequency Skin Treatment devices - also one with blue light - to use at home. Here you'll find more LED light devices for skin care.